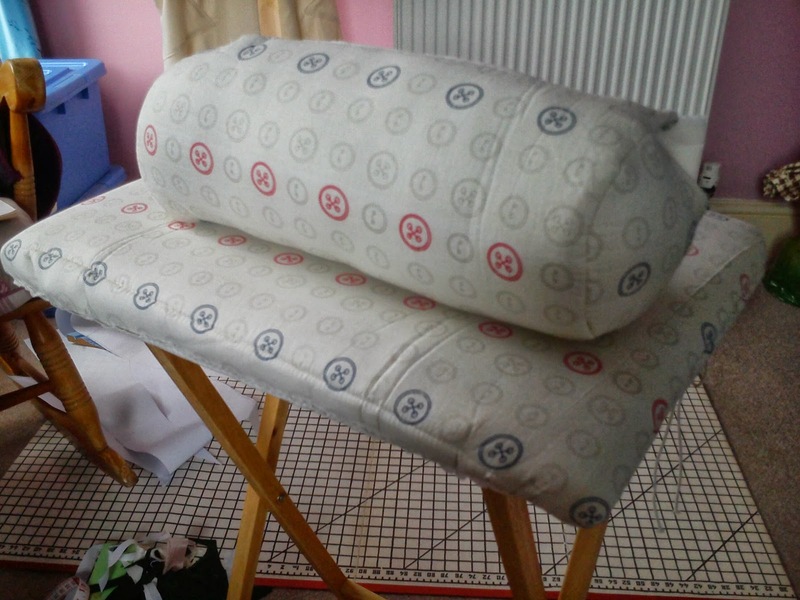 I decided that I wanted more padding than supplied with the cover so cut a piece of wadding to the same size as the table and a piece of waste material an inch larger than that, to cover the wadding and stop it sticking to everything, if you have ever worked with wadding it’s a real pain. Next I cut the cover roughly in half, but definitely big enough for one half to cover the table, laid the wadding on the inside of the cover and sewed it all together. 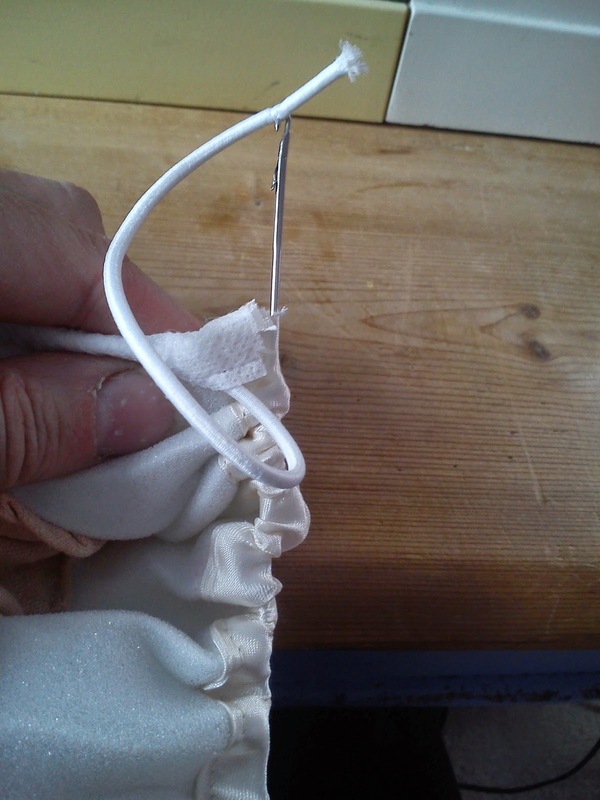 Utilising the existing elastic and edging meant I only needed to fix a length of bias binding to the cut side, and I could then thread the elastic through that. This is a marvelous little tool for such jobs and turning all kinds of thing inside out, it’s long with a hook on one side, ingenious, hope you can see what I mean from the photos. 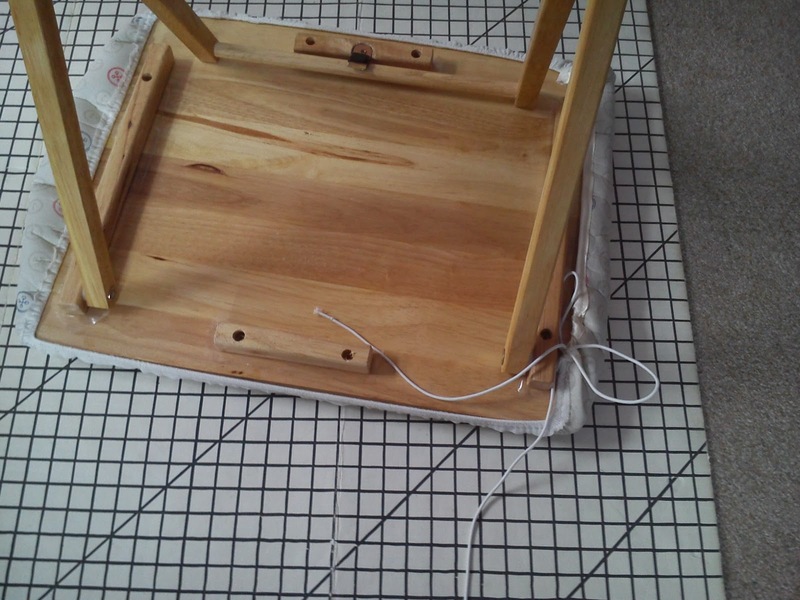 Underneath of table with the elastic tightened and I can slip it off when ever I just want a table. Not being one to waste an opportunity, I still had half a cover left so I thought I’d make a pressing ham with it. You know the sort of thing useful for pressing darts and armholes etc. 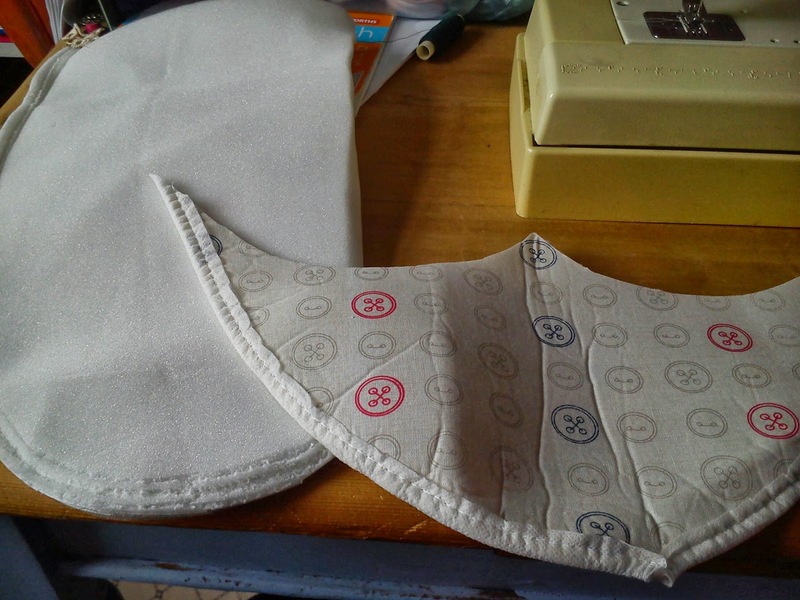 Well I folded the remaining piece in half lengthways and sewed the long edge together, but not going all the way to the end, taking a curve off before I got there. Hopefully you can see what I mean from this bit that was left. 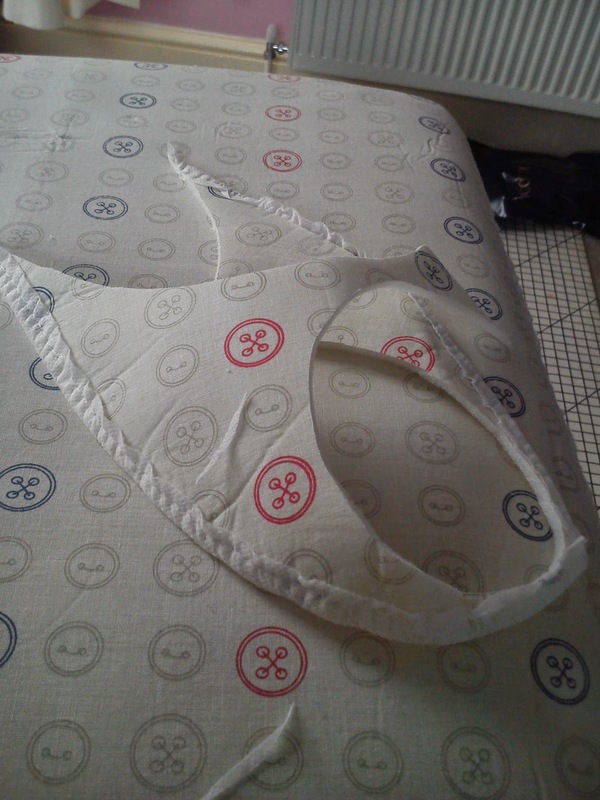 I cut a circle from the remnant and was rather please that all I ended up throwing away was this little bit. I sewed the circle on the end and then turned right side out and stuffed like mad, you’d be surprised, I was, how much stuffing this thing took. In fact in the photo below I had run out of stuffing and so had not actually finished, but as soon as I’ve been shopping I will have a perfectly useable ham. In hindsight, a little smaller would have been fine and not used so much stuffing but hey ho. But there you go, not a bad afternoon’s work. and doesn’t Betty look nice in green, should finish this hat and bag combo tomorrow, I’ll put up some photos if I do.